THREE winners have been announced as the first to receive the country’s Indradevi Hope Awards, organised by Women’s International Group of Cambodia. These unsung heroines were all working to change the way people live in their community, said WIG president Lynn Muller. 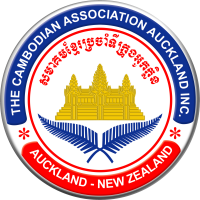 “They want people to have better lives: to have employment with dignity, to enjoy the kind of health care and education that you and I take for granted,” she told guests at the awards dinner at the InterContinental Hotel in Phnom Penh on Saturday. 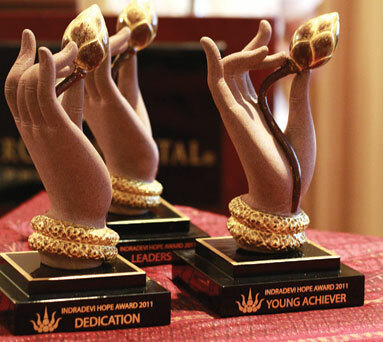 The Indradevi Hope awards were set up to recognise exceptional Cambodian women and are named after Queen Indradevi, wife of the 11-th-century King Jayavarman VII, who established healthcare services and schools for women. Each of the three winners receives US$1,500 toward their chosen project. “WIG wanted to do more to raise money to support community development and particularly women and children in need,” said Muller. 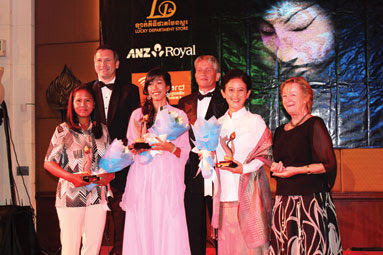 Winner of the young achiever award was Loem Lida, a graduate teacher who gave up the bright lights of Phnom Penh to live and teach in a small village – Chanlead Dai, near Siem Reap. In addition to her teaching duties at the school, she set up a network of volunteers, some as young as 14, to spread their knowledge of English by teaching other informal classes to kids in their own villages. Loem Lida oversees their work, helps them plan and set up lessons and spark new ideas in their path to learning. In efforts to improve hygiene, the volunteers also set up rubbish bins around the outlying hamlets. Children organise the rubbish collection. Now the group wants to set up a fish farm and vegetable garden to help villagers improve their diets and combat malnutrition, still a serious problem in the province among many farmers. Winner for dedication was Touth Koeun, who works amid the remote villages of Preah Vihear province battling to improve the health of mothers and their children. Originally trained as a nurse in refugee camps in Thailand, she returned to Cambodia to work with Health Unlimited. When the Health Unlimited project closed in 2007, Touth Koeun saw there was still a need for rural maternal health services. So she promptly set up her own NGO – M’Day Reak Reay, Kone Reak Reay (Happy Mother, Happy Child). This passes on vital nursing and midwifery skills to outlying villages and traditional birthing attendants using herbal medicines, working under the Ministry of Health. Winner of the leadership award was Sophea Oum, who has a twin career – one as founder of an orphanage for children whose families were unable to look after them adequately, which currently cares for about 30 children. One of her original intake of about 100 kids has taken over the reins of everyday administration and French sponsorship funding enables her to keep the orphanage open. Sophea Oum’s other career is as a silk entrepreneur. To help her small village gain better incomes, she set up Golden Silk in 2002, to revive traditional production of Cambodia’s legendary golden natural silk. At a centre 30 kilometres from Siem Reap, women produce silk and use natural dyes to produce this rejuvenated classical cloth. The natural-coloured yellow silk is unique to Cambodia and production is mostly concentrated in rural areas. Today there’s a Golden Silk visitors’ centre where items are for sale and tourists can see how it’s made.